If you are between 30 to 40 years old it’s a good age to do what you have always wanted to do, travelling around the world for example. We have selected 7 places to visit depending on what you prefer, so don’t wait and start getting ready for your next trip! This is a trip for the cool ones, to do when summer arrives. Ibiza isn’t just beautiful beaches, sunsets, hippie street markets and beach clubs, it is also an old-town, known as Dalt Vila, which is part of the UNESCO world heritage sites. This is a perfect place to go with friends during summer. If you love to dance then Rio de Janeiro is the perfect spot for you. The bay is one of the most beautiful in the world with the world famous “Christ the Redeemer” overhanging the city. If you want to be amazed go there with friends during the famous Carnival at the beginning of February. The oriental culture fans will love this country of contrasts which will change the way you see the world. If you like ancient traditions, precious temples and delicious gastronomy, this destination is perfect for you. We recommend you to go there during Spring or Autumn. You feel adventurous and you are a nature lover? Then Nepal is the perfect trip for you, and if you like hiking you are definitely in a good country. Nepal located in the Himalaya range has 8 of the 14 highest peaks in the world, but you will discover also another culture with Hindu temples and Buddhist statues everywhere. The best time to go there is between October and April. If you want to have fun with friends Dublin is the place to go. 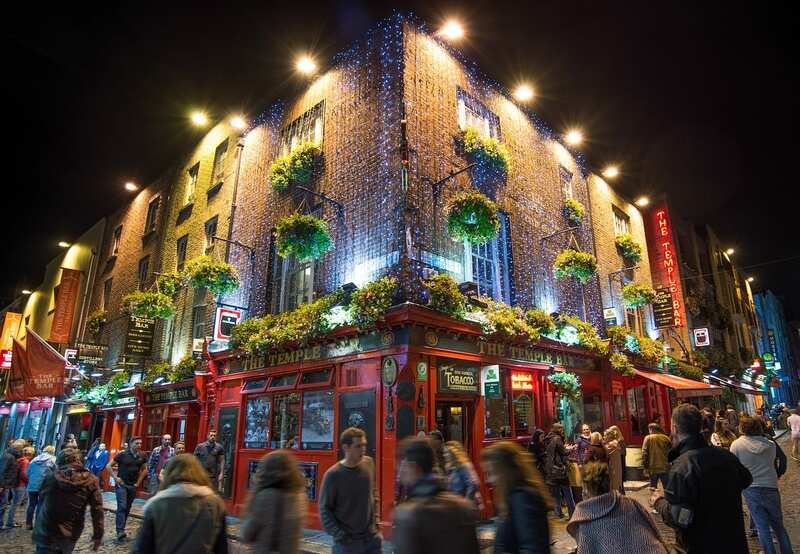 There are many reasons to love Dublin, music everywhere, great pubs, beautiful cathedrals, the Guinness Storehouse, the galleries in Liberties and most famous area: Temple Bar. You don’t know where to eat in Dublin city Centre? You should try Magic Glasses the restaurant of the O’Callaghan Stephen’s Green hotel. This is an amazing trip to do with friends and at any time of the year. Amsterdam is a great city for art lovers, ecologists or even hipsters because it is cosmopolitan, ecologic, photogenic and tolerant. You will find beautiful museums such as Van Gogh and Rembrandt, wonderful flower markets and of course coffee shops. The city itself is charming with the numerous canals, bridges and streets with facades of the 17th century. The summer weather will make your trip unforgettable. Iceland is a country for dreamers, you have to visit Iceland just to admire the Northern lights. The thermal pools are also something to try as well as all the relaxing things you can do in Iceland. The best months to see the Northern lights are December and January.